But I don’t want to rush things! It is still officially summer, with the heat, later bedtimes, and ice cream trucks. ;) One of my favorite memories from this summer was a long family vacation. My husband and I both took two weeks off work to dedicate 100% to family time. We spent as much time as possible together as a family of 4. Our daughters soaked in and lavished in the mostly undivided attention from their parents. A huge contributor to this “undivided” attention was a social media break. I took a 2-week break (!!) from Facebook. I’ve only done this one other time in my mom life. I’ll admit - at first my hands felt a little empty without holding my phone. When I did have my phone around, I kept looking at it to find something to click on and mindlessly surf. But eventually I got used to it and surprisingly (or maybe not surprisingly!) I didn’t miss it at all. It was a much-needed break. I watched my girls play in the sand and couldn’t help but think about how our life will soon never be the same. Having another baby is going to be a true joy for our family, and already is. But there is a small part of me that is totally cherishing the present and knows that one day I will miss the times like this, with just the four of us. Soak up your summer fun, mamas. Let the kiddos get messy, stay up late, and take that extra adventure. Whatever changes life has in store for you – whether it’s a baby, a new house, a new job, or just the kids growing bigger by the day - next summer won’t be the same! 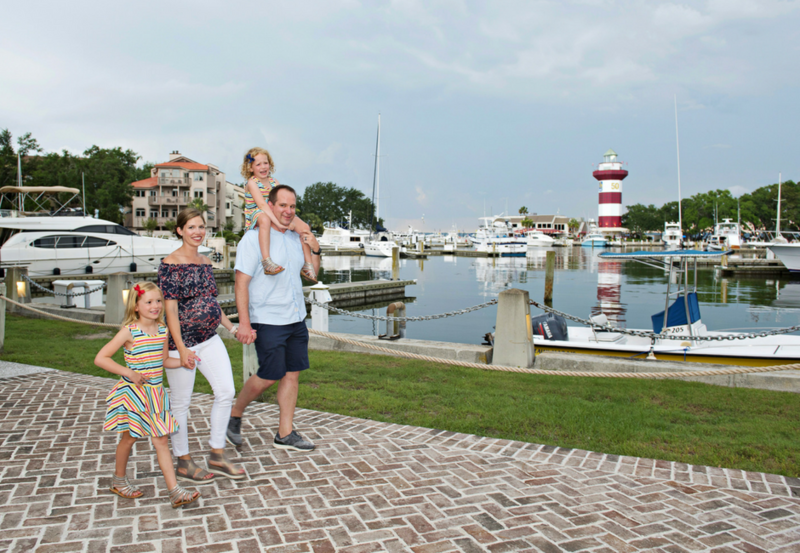 PS - If you ever take a vacation to the beautiful Hilton Head, South Carolina, be sure to hire Michelle with Photography by Michelle for some family photos! Thanks for the lovely family photo, Michelle!